The 2014 rains came late in the season, providing enough soil moisture for the vines to grow well. It was a warm vintage, overall, but without damaging heat spikes, which allowed the fruit to ripen slowly and completely. There was a bit of time to catch our collective breath after the August 24th earthquake, as the fruit continued to ripen evenly, in spite of the chaos. Harvest was accomplished over an extended period of time, beginning on 9/19 and wrapping up on 10/13. Thanks to the temperate weather, there was no sense of urgency about harvest timing or logistics. 2014 yields were near historical norms, with the younger blocks of the J.J. Cohn vineyard coming into their own, and performing very well. Throughout the property, maturity was very uniform, and overall fruit quality was exceptional. The consistency of this vintage during the growing season has, not surprisingly, manifested itself in the overall impression of the finished wine. 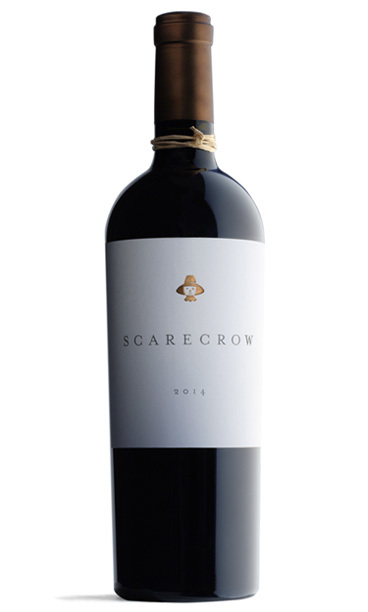 Lovely cassis, black plum, violets, dried blackberries on the vine, baking spices, chestnut, and just a hint of fresh earth interconnect in the very forward aromas of this unmistakably Rutherford Cabernet. On the palate, the entry is balanced and elegant, polished but with a clear density, a flavor core that adds gravitas and suggests ageability. The finish is of wild plums, black cherry jam, and a hint of warm vanilla. The 2014 growing season saw some long-awaited relief from an epic California drought, giving us less rainfall than normal but enough to give the vines a bit more energy during Spring. The summer season was relatively mild, while the critical ripening months of September and October saw nearly perfect conditions, with cool nights and warm, dry days. The blocks for Scarecrow were hand-harvested between September 19 and October 13, 2014. A total of 1500 cases were bottled.